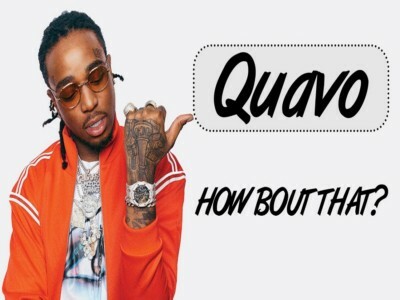 Quavo serves as an inspirational basketball coach in his Space Jam-inspired video for “How Bout That?” The song appears on his debut solo album, Quavo Huncho, which was released in October. In the playful, Quavo and Kid Studio-directed clip, the Migos rapper/coach meets with his basketball team, who are deflated as they enter a locker room. Fueling them with “Quavo’s Secret Stuff” and holding a glowing basketball a la Space Jam, Quavo gets the squad back in gear and ready to tackle their opponents. “We All Stars,” he raps as a reminder. During a press conference, the coach cleverly quips the team is going to celebrate with “Champagne Rosé” – a song from Quavo Huncho – and later he and his team celebrate their victory by turning the court and the locker room into a dance club.